Everything you need to know about choosing the correct area rug for your dining room - from measuring for the right size, to picking the best colors, patterns, and materials, and even where to shop for a new rug for your own home. Area rugs are one of the most important design decisions (and costly investments) when it comes putting together any dining room. (Dining tables are the other.) You want to choose something that is going to last and that you'll still love a year or more down the road. I want to be informed when entering into a costly investment, so I started doing a little research to help guide my own purchasing decisions about a dining room rug and wanted to share what I found out with you in case you see this purchase in your future, too. WHY USE AN AREA RUG IN THE DINING ROOM? If you choose to go without a rug in the dining room, that is perfectly fine. It is a matter of preference and some people like the ease of not having anything under the table that is going to need cleaned frequently, especially if you have children. Having a rug under the table does have benefits, however. From a design standpoint, it creates a great focal point to help you choose a color palette and other finishes. And aside from adding color and texture to the room, it provides warmth and comfort. A rug also helps to save your floor from scratches created by pushing and pulling chairs and spills from food and beverages . It can also help muffle noise in the room. HOW DO YOU CHOOSE THE RIGHT SIZE RUG FOR THE DINING ROOM? Rugs come in standard sizes like 5x7, 8x10, or 9x12. 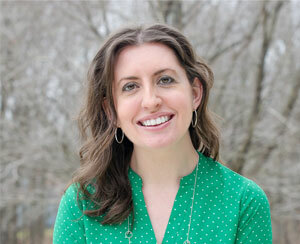 But many brands manufacture sizes slightly larger or smaller than the standard sizes as well. There is a right (or best) size rug in regards to the size and floorplan of your room and the size of your table. If you choose a rug that is too small, it can make the room feel smaller than it is or makes it look like you bought a rug smaller than you should have (which, I guess, you did). Choose a rug that is too large running from wall to wall and the room can feel like it is all rug. You want a balance between the rug and the amount of flooring that is going to show. To measure what size rug is best for your dining room, first get all your furniture into place (or tape out the size and location if that isn't possible). It is helpful to also use the painter's tape to mark the outline of where your rug should be so that you can visualize it in the space. In general, rugs should extend about 24 to 30 inches beyond each side of the table. You want your chairs to still be sitting on the rug when they're pulled out from the table. If you plan on using leaves regularly, this should be considered in your measurements. To measure, pull chairs out as though people would be sitting there, then measure out a couple more inches from the back of the chair. If possible, aim to have at least about 12 to 18 inches of flooring that will still be visible after the rug is laid down. HOW DO YOU PICK THE RIGHT COLORS AND PATTERNS OF AREA RUGS IN THE DINING ROOM? As I already mentioned, a dining room rug can dictate the design of the entire room so you must think of the colors and patterns in terms of what you'd like to see in your overall design. Bold and colorful? Subtle and neutral? Do you want to make a statement with the rug or have it blend in with the other furnishings and fabrics? The important idea to consider is that you want it to compliment your space and not distract from it. While it can and should be a focal point, you don't want someone to walk into your newly decorated space and gasp because the rug is too overwhelming for your home. You basically want this floor covering to tie the room together and anchor the space. The most important things to remember when choosing a color and pattern for the dining room is that light colors will not mask stains. And spills and spots are less likely to show up in a heavily patterned rug over a plain version. A dining room rug has the potential for seeing a lot of wear and tear from chairs and feet and spills are bound to happen so it needs to be practical enough to survive everyday living under your dining table. Look for a pile height of a 1/4 inch or less with a smooth surface that won't snag or pull. You want a flat weave or low pile over a high pile or shag rug that are difficult to maneuver chairs overs and clean when food inevitably lands on it. You also want to look for easy to clean materials. Ideally, natural fibers like cotton or wool are going to be easier to clean than synthetic materials. You may even be able to find rugs that are stain resistant which is helpful in the dining room. You can also use an "outdoor" rug in the dining room if you find a style you like. WHERE CAN YOU FIND THE BEST AREA RUGS ONLINE? Shopping for area rugs online can be convenient because you can browse through thousands of choices and do side by side comparisons not just based on what they look like, but for what they are made out of, pile height, and more. 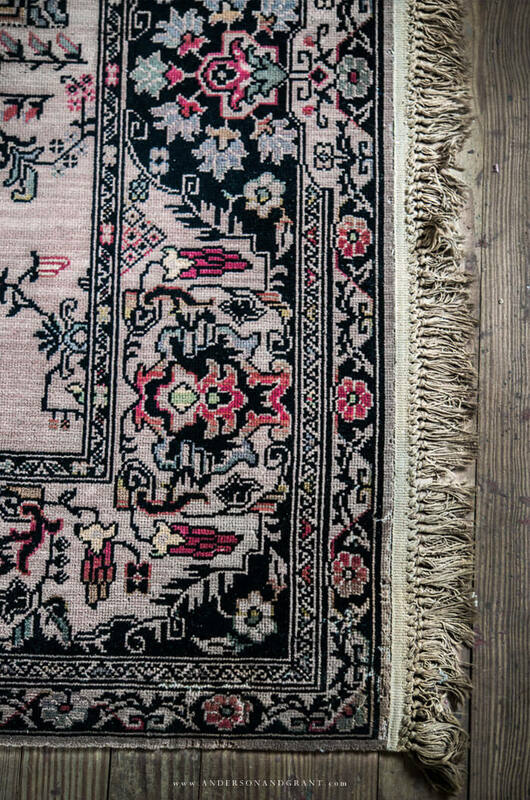 You do need to be careful that you buy from reputable companies and pay attention to online reviews so that you don't get a "really great deal" that turns out to be a low quality rug that won't last. Prices vary throughout different stores. Some of the major brands can be found from different online retailers at dramatically different prices, so be sure to check around before buying. Consider carpet tiles that can be made into whatever size you need and replaced if they get stained or dirty. This can be especially helpful if you have an odd sized space or young children. If table cannot be centered on the rug, opt for one with an all-over pattern and no border. Pick a rug that is the same shape as your table to create symmetry.....round table, round rug; square table, square rug. Try to avoid having the rug go under other furniture in the room if at all possible. 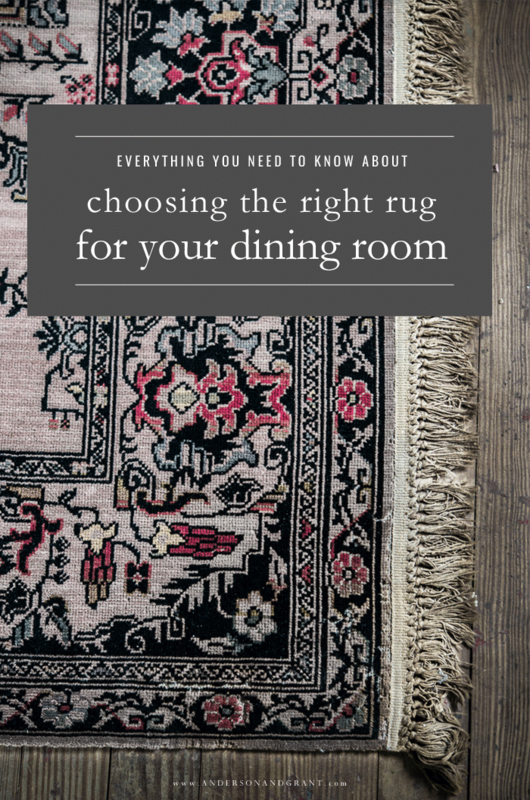 I hope this post helps guide you to choosing the right rug for your own dining room. Please know, though, that what is most important above and beyond all of these "rules" is that you find a rug (or any piece of furniture or accessory) that you love regardless of whether it falls within the boundaries of any design advice that you may receive.